امروزه نگهداری اصولی زیرساخت‌های شبکه آب در توسعه پایدار شهری اهمیت فراوانی دارد و یکی از ضروریات مدیریت شهری محسوب می‌شود. با توجه به این موضوع و بر اساس تجارب کشورهای پیشرفته در این زمینه، استفاده از شاخص‌های عملکردی در این پژوهش مورد تأکید قرار گرفت و نحوه استفاده از آن معرفی شد. در این روش استفاده از شاخص‌های اصلی از جمله استفاده از منابع آب، اطلاعات کارکنان، دارایی فیزیکی، کیفیت خدمات، عملکرد اجرایی، خدمات به مشتریان و عملکرد مالی مورد توجه قرار گرفت و شبکه آب تبریز بر اساس آماره میانگین با هفت زیرساخت شبکه آب آمریکا مقایسه شد. نتایج به‌دست آمده نشان می‌دهد که در شبکه آب تبریز مشکلات عمده‌ای از لحاظ استفاده بی‌رویه از منابع آب، میزان بالای هدر رفت آب، عدم بازیافت آب مصرفی، فرسودگی شبکه و مخازن آب ، افزایش تقاضای آب مصرفی به‌دلیل ساخت شهرک‌های جدید، تأمین منابع مالی کافی برای توسعه شبکه در مقایسه با هفت شبکه آب آمریکا وجود دارد که ضروری است برای پیشگیری از عواقب ناشی از مشکلات مذکور، سرمایه‌گذاری‌های اصولی و کارشناسانه برای نگهداری و توسعه شبکه آب بر اساس روش معرفی شده صورت گیرد تا در آینده مدیران و مسئولان شهری پاسخگوی نیازهای شهروندان باشند. Nowadays the proficient maintenance of water network infrastructure is vital in sustainable urban development and is among the obligations of urban management which should be considered by responsible organizations. Accordingly, in this paper, by using the performance benchmarking method, Tabriz water utility was compared in graph basis to seven US water utility infrastructures based on the main indicators including: 1. Water resources, 2. Personnel information, 3. Physical components, 4. Service quality, 5. Executive performance, 6. Customer Services, and 7. Financial performance. 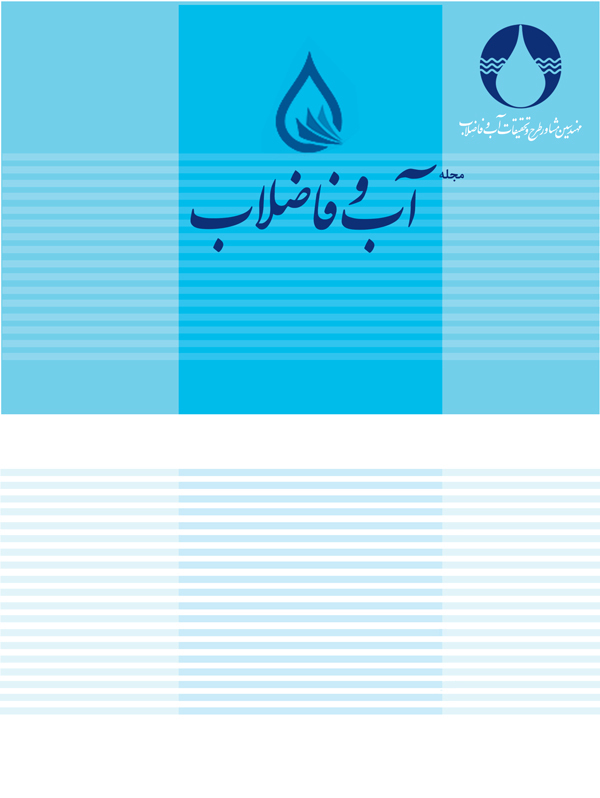 The results showed that in comparison, Tabriz water utility suffers from major problems in terms of uncontrolled use of water resources in Tabriz city, high quantity of water loss, absence of wastewater recycling, erosion in network and water reservoirs in some areas, increased water demand due to the construction of new townships, and lack of adequate funding for network development. Accordingly, funds and investments are required to prevent the consequences of the aforementioned issues based on the proposed methodology. This methodology is found to be a very effective tool for decision makers and experts and can be applied for other cities and regions..
Ankur, R. & Sunil, S., 2013, "Web-based benchmarking of drinking water utilities in the United States", Journal of American Water Works Association, 105 (9), 540-552. Barber, E., 2004, "Benchmarking the management of projects, A review of current thinking", International Journal of Project Management, 22 (4), 301- 307. Berg, S. & Padowski, J., 2010, "Overview of water utility benchmarking methodologies: From indicators to incentives sanford", . Corton, M. & Berg, S., 2009, "Benchmarking central american water utilities", Utilities Policy, 17 (3-4), 267-275. Oyegoke, S., Adeyemi, A. & Sojobi, A., 2012, "The challenges of water supply for a megacity: A case study of lagos Metropolis", International Journal of Scientific & Engineering Research, 3(2), 5-6.